Original style was Federal with gambrel roof & dormer windows. 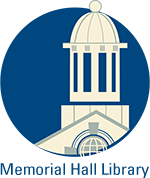 Themes: architectural, the arts, education. The "old stone workshop" was built in 1828 by "The Mechanical Association" to give the Andover Theological Seminary students manual training by the making of wheelbarrows, coffins, cradles, rolling pins etc., which were sold to help pay tuition costs. 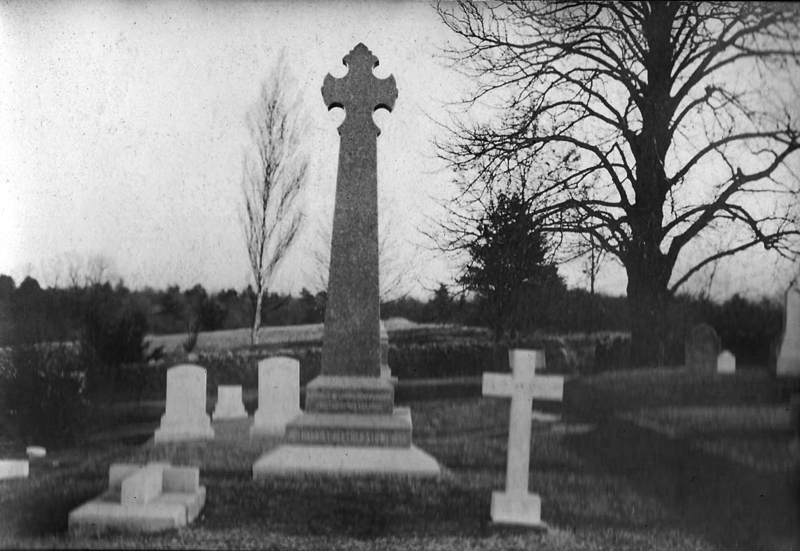 It then stood at the end of the common on the site of the present Andover Inn. It was subsequently used for a student gymnasium. In 1852, Harriet Beecher Stowe arrived in Andover with her family to join her husband, Rev. Calvin Stowe, Professor of Sacred Literature at the Seminary. At that time, "the stone shell of a building" was being used for rubbish storage. Although the trustees were reluctant to allow the Stowe family to reside there, Mrs. Stowe said, "I always longed to plan a house for myself" and offered them her first royalty check from the phenomenal sales of "Uncle Toms's Cabin, $10,300 towards its remodeling. Dr. Calvin Stowe and his family lived in Samaritan House at the site of Cochran Chapel today, from 1852-1853, while waiting for their "stone cabin" to be remodeled. The professor presumably stayed here before his family moved down from Brunswick, Maine. His tenure was not up at Bowdoin, before he started his new job as Professor of Sacred Literature at Andover Theological Seminary. Stowe solved this problem by teaching one term in Andover between finishing up his course at Bowdoin, leaving his wife at home in Maine to finish up her monumental epic, "Uncle Tom's Cabin". Although this novel was published before Mrs. Stowe moved to Andover, her "Key to Uncle Tom's Cabin" was written during their stay at Samaritan House. This was a defense of her controversial novel, citing sources and proof for her fictional work. Harriet had the long building separated into rooms, added fireplaces, window seats, painted the walls, pointed the cement and added an Italianate style piazza at the entrance and fence. Harriet christened it "Stowe Cabin", at a cost of $2891.12, - "transformed at an expense of some thousands of dollars into a beautiful country residency". Mrs. Stowe lived there 11 years with her husband and six children and it was remembered as the liveliest house on the hill, with its many parties and famous visitors. Rev. Calvin Stowe was first married to Eliza Tyler at Dartmouth College in 1832. Eliza b. 1809 died on Aug. 6, 1834. Calvin remarried on Jan. 6, 1836 to Harriet Elizabeth Beecher. Calvin & Harriet had seven children; Twins, Eliza Tyler & Harriet Beecher b. Sept. 29, 1836, Henry Ellis b. Jan. 14, 1838 - d. 1857, Frederick William b. May 6, 1840, Georgianna May b. May 25, 1843, Samuel Charles b. Jan. 1848 d. July 22, 1849 and Charles Edward b. July 8, 1850. Sadly their son Henry Ellis drowned in the Connecticut River while a student at Dartmouth in 1857. He was interred in the Chapel Cemetery, with in view of the Stowe's house. Son Frederick W. "enlisted during the Civil War as a Private in Co. A. 1st Mass Vol. He rose to Captain, was wounded at the battle of Gettysburg on July 11, 1863, from which he never fully recovered. After a sea voyage around the Horn to San Francisco, he disappeared, and the date of his death is unknown." Both Calvin & Harriet B. Stowe are interred with son Henry here in Andover. 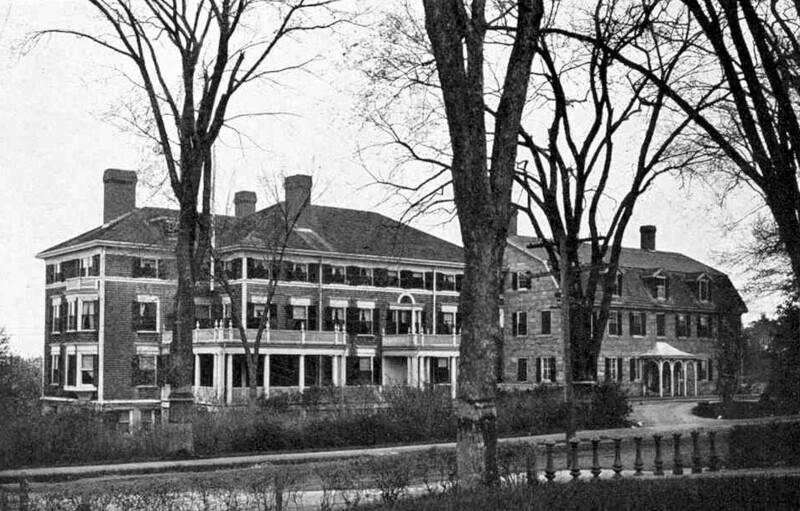 After the Stowe"s moved to Hartford, CT, in 1864, Mrs. Wilde, a relative of Mrs. Stowe, ran it as a dormitory until in July, 1887, when the house was damaged by fire. After the "Mansion House", burned to the ground on Nov. 29, 1887, there was no hostelry on the hill. The "Stowe Cabin" was renovated for use as an inn. On May 4, 1888, Charles L Carter opened it to the public as Uncle Tom's Cabin, but in October 1888 the Trustees renamed it Mansion House. In 1893, at the cost of $22,000 a wooden west wing was added to accommodate more guests. E.P. Hitchcock was the proprietor, followed by Charles Ripley and John Milton Stewart. In 1908, the name was changed to Phillips Inn. 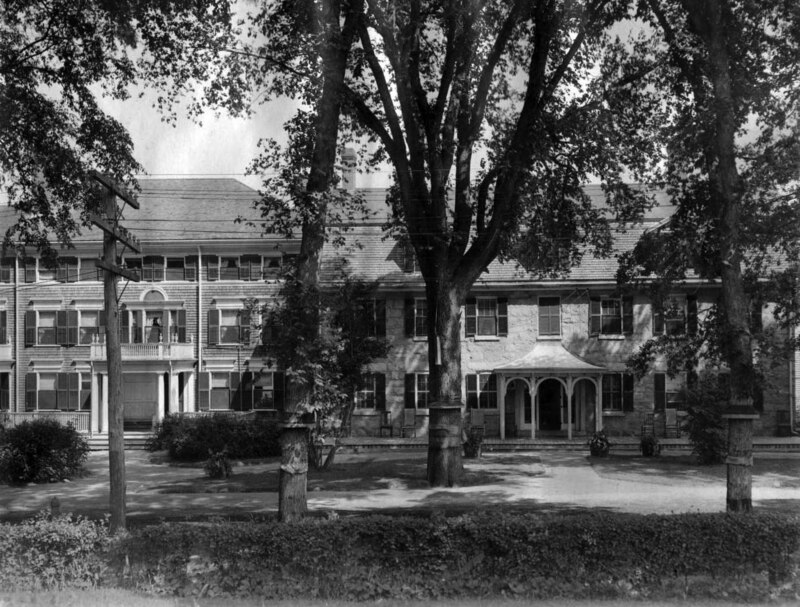 In 1929, when the entire campus of Phillips Academy was re-designed, the 1893 addition of the Inn was demolished. The Stowe House was lifted off its foundation, turned 90 degrees and moved down to the current site on Bartlet. Soley and Blair of Boston moved it to its present location, the former site of Harrington House. A new modern hotel, The Phillips Inn was then built on the original site of the Stowe House. The Trustees of Phillips Academy own the property and it is used as faculty housing and dormitory space. In the 1950's one of the rooms at Stowe House was used to stage the play "Harriet", starring Helen Hayes. Bacon, Edwin. 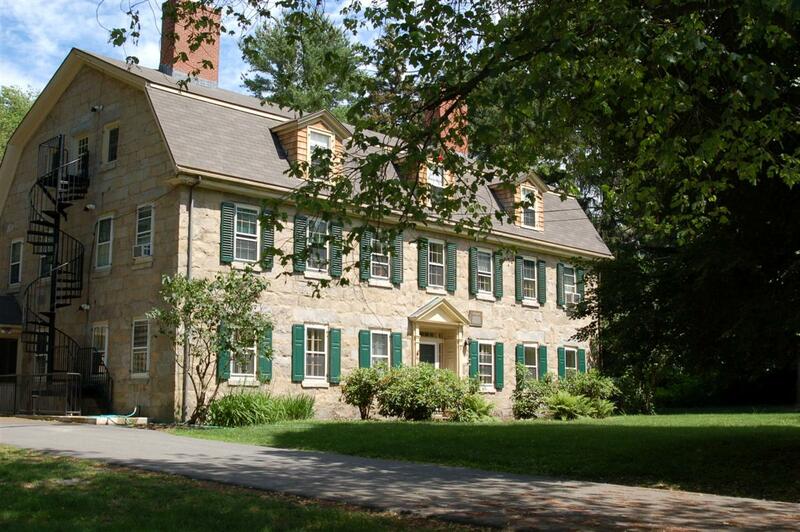 Literary Pilgrimages in New England to the Homes of Famous Makers of American Literature and Among the Haunts and the Scenes of Their Writings. N. Y., Boston & Chicago: Silver , Burdett & Co., 1902. Carpenter, Jane, "Mrs. Harriet Beecher Stowe". Abbot Bulletin, April, 1930. Fields, Annie. Life and Letters of Harriet Beecher Stowe, Boston: Ticknor & Fields, 1897. Jackson, Susan E. Reminiscences of Andover, Andover Press, 1914. Mofford, Julie. "House that Uncle Tom Built Still Remains Today in Andover", Lawrence Eagle -Tribune, July 3, 1976, p.A.23, A.26, A.27. Paridise, Scott. "Old Houses on Andover Hill", Phillips Bulletion, July 1915. Stowe, Charles Edward. Life of Harriet Beecher Stowe, compiled from her Letters and Journals, Boston: Houghton Mifflin, 1890. Wilson, Forrest. Crusader in Crinoline, 1941. Andover Advertiser. March 5, 1853. Andover Townsman. March 30, 1894 p. 4 - The Mansion House to be Enlarged. 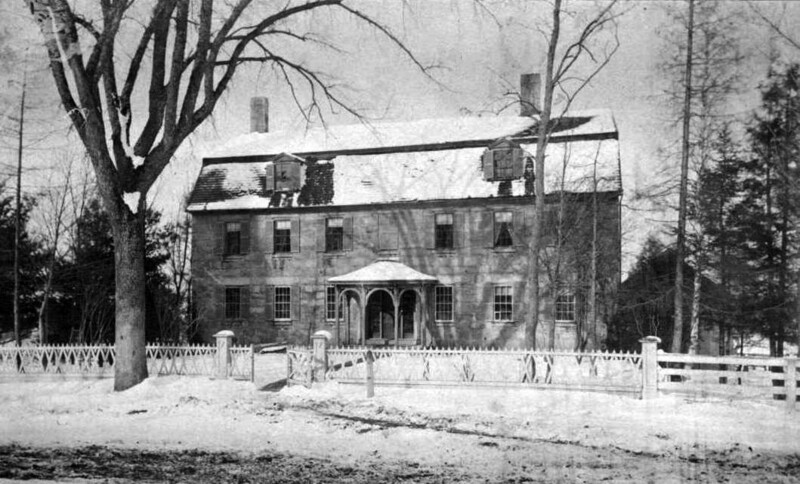 Stone House on Chapel Ave., Stowe House now. Was built of ledge stone from John B. Jenkins home/farm in Holt district. Present Use Residence for faculty & student dorm.